Slow cooker fans love their devices because they are easy to use and allow home cooks to buy affordable cuts of meat that become fall-off-the-bone tender. 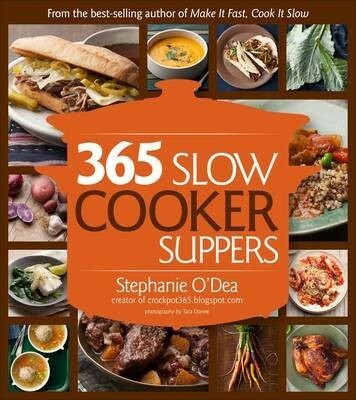 The challenge is finding well-tested recipes, and that's where bestselling author Stephanie O'Dea comes in, with her wildly popular website (crockpot365.blogspot.com) that attracts more than a million visitors a month. Fans have been clamouring for a new cookbook, and this one ties directly to her website with 365 recipes. Every recipe is written with gluten-free options, so there is a large secondary audience for this book. Full-colour photography will further entice slow cooker enthusiasts, making this a must-have collection.